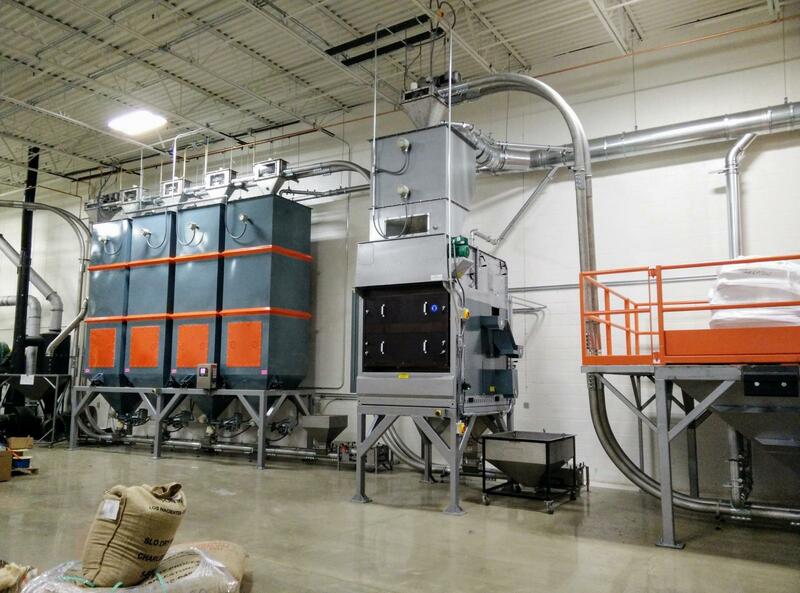 Ferris Coffee & Nut Co. is a specialty roaster located in Grand Rapids, MI. They first reached out to MPE with the goal of modernizing their previous operations to achieve a higher level of food certification required by their wholesale customers as well as increase their capacity, efficiency, and beauty of their coffee operation. Six 4” tubular drag Chain-Vey conveyors. The value for Ferris utilizing MPE's grinders, Chain-Veys, and process systems integration has been tremendous in terms of efficiency and flexibility. 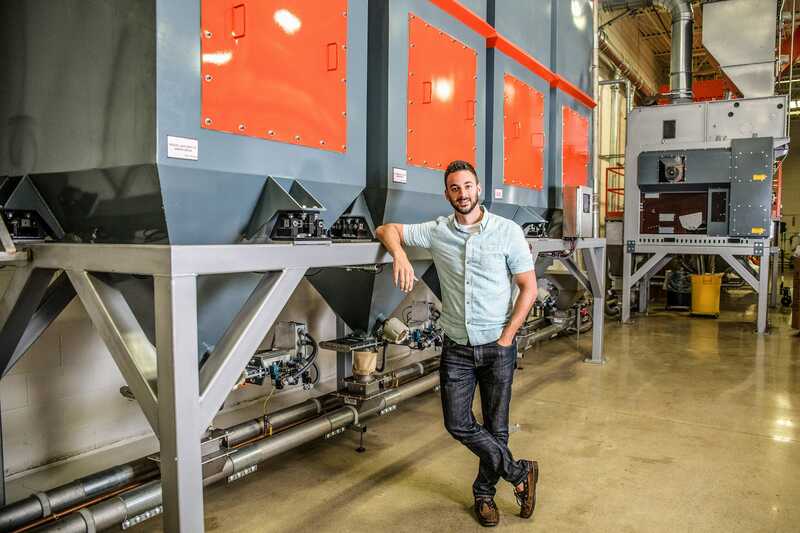 "With the installation of the new system, we've managed to meet all the needs that drove the project in the first place," noted Sam Mirto, Director of Coffee at Ferris. The original goal of meeting a customer's auditors' exceptional food safety standards was achieved. Other savings have resulted from more efficient use of labor. 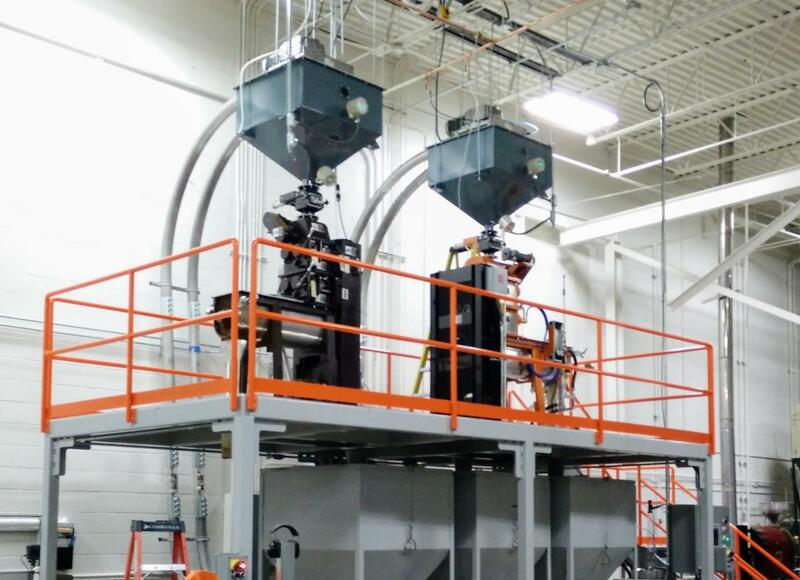 With the implementation of advanced process automation, one person can be grinding coffee and packing thousands of pounds of coffee seamlessly, whereas previously these were separate tasks that required multiple employees before the renovation. This efficiency also positions Ferris to accommodate increasingly large customers with ease. Another benefit of the beautiful open layout and design of Ferris' build-out is the pride of touring the facility to potential customers. With the implementation of Chain-Vey's clear tubing, people can follow the coffee along the production process and walk away with a deeper understanding of the operation.